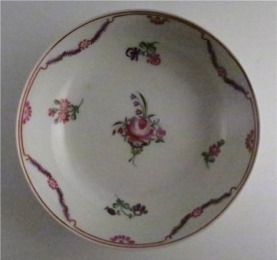 A very attractive New Hall tea bowl and saucer, beautifully decorated in coloured enamels with flowers and stylised floral garland border, pattern number 139, c1785-1790. 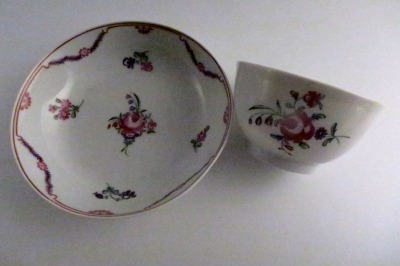 The body of this tea bowl and saucer are of the New Hall hard paste. 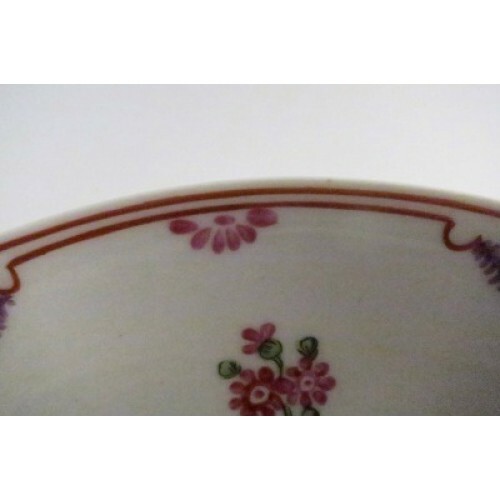 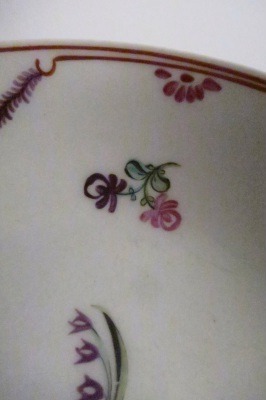 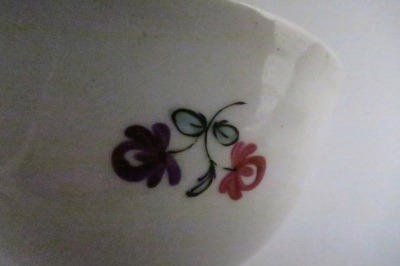 Decoration on the tea bowl has one large colourful floral bouquet and three smaller floral sprays evenly spaced around the outside of the bowl. 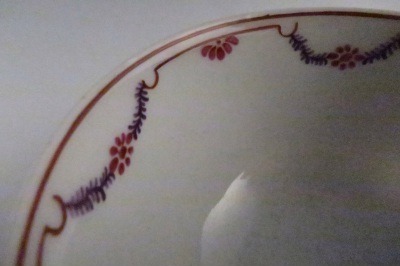 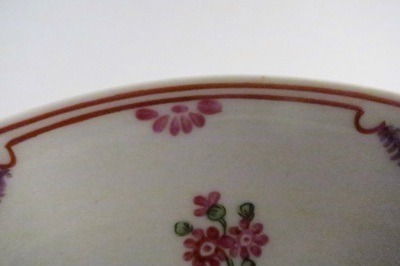 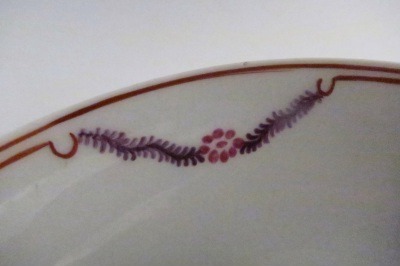 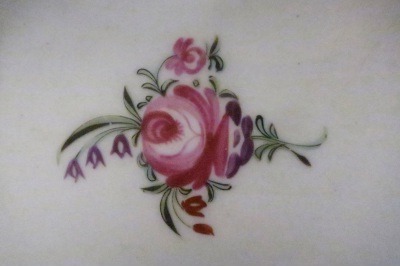 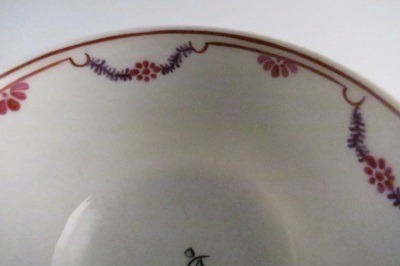 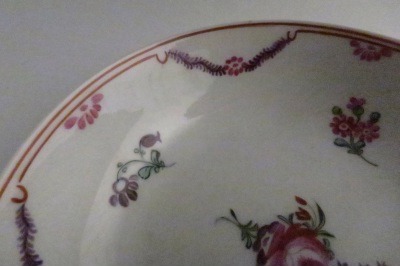 Inside the tea bowl's rim is the stylised floral garland and in the base of the bowl, a single flower sprig. 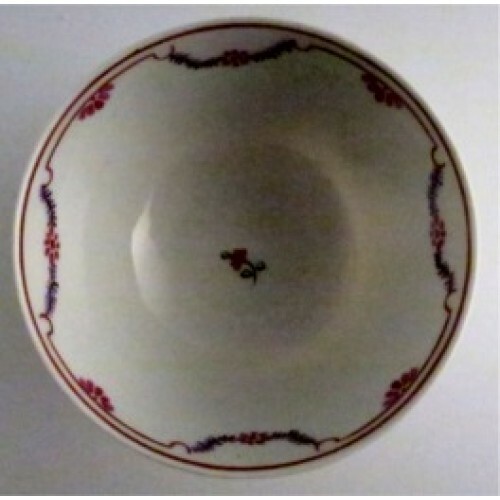 The saucer is decorated in the same very attractive way as the tea bowl. 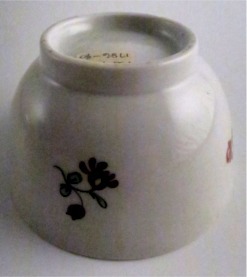 3¼" (80mm) max diameter of the tea bowl. 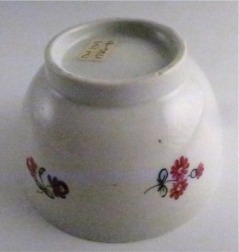 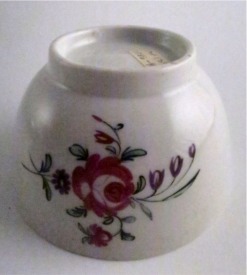 2" (48mm) height of the tea bowl. 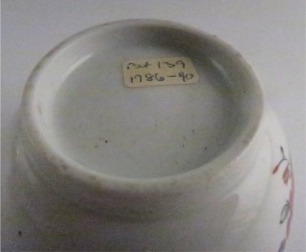 5" (126mm) max. diameter of the saucer. 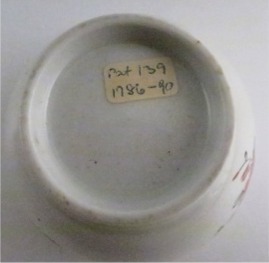 5½oz (159gms) weight of the tea bowl and saucer. 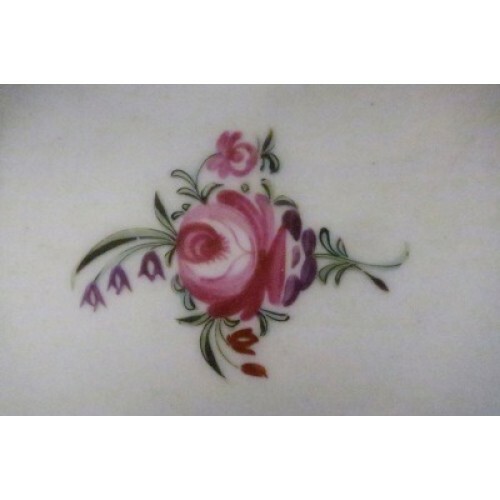 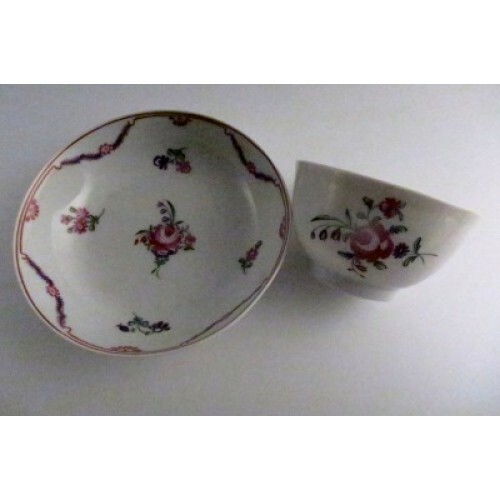 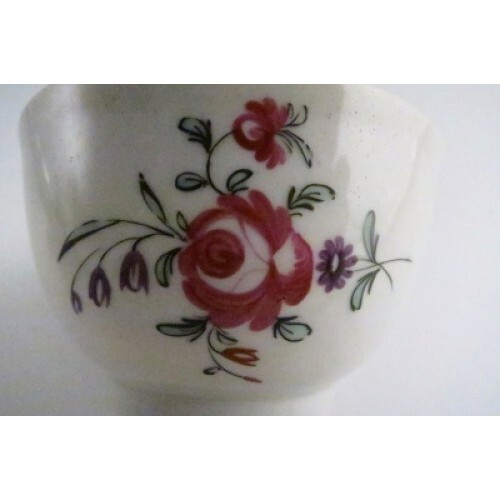 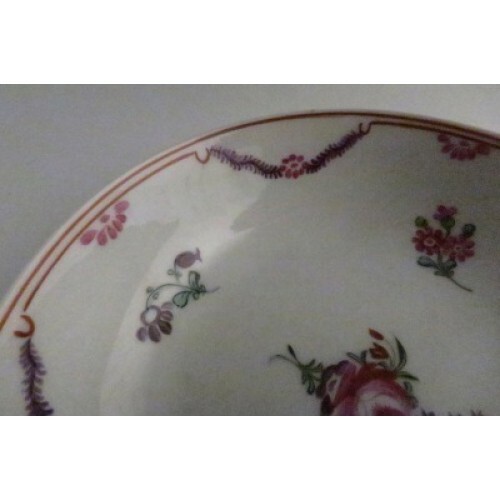 There are no manufacturer's marks, but this a hard paste New Hall tea bowl and saucer of pattern 139. 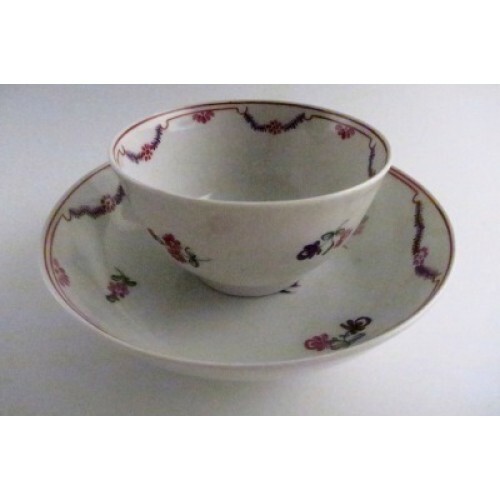 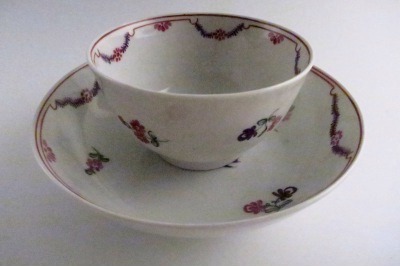 This beautiful New Hall tea bowl and saucer are in excellent condition with no chips, cracks, repairs or restoration. 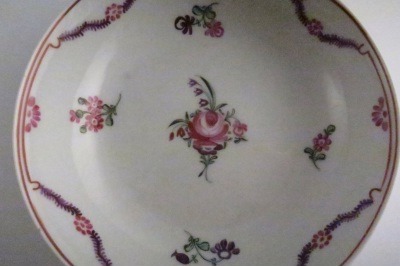 An excellent item for the collector of New Hall or early English tea wares. 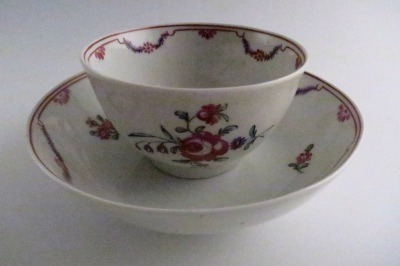 Condition (See main description for full details and pictures) This beautiful New Hall tea bowl and saucer are in excellent condition with no chips, cracks, repairs or restoration. 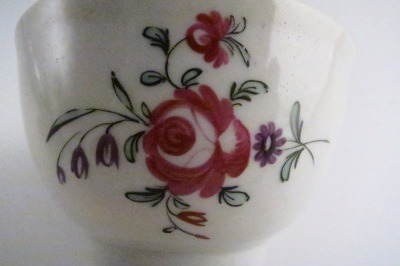 An excellent item for the collector of New Hall or early English tea wares.